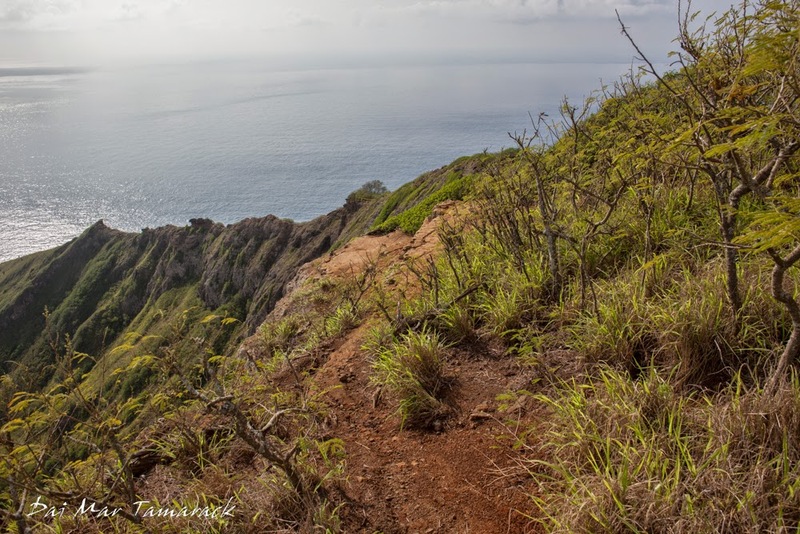 Just around the corner from my house stands a volcanic crater known as Punchbowl Crater. 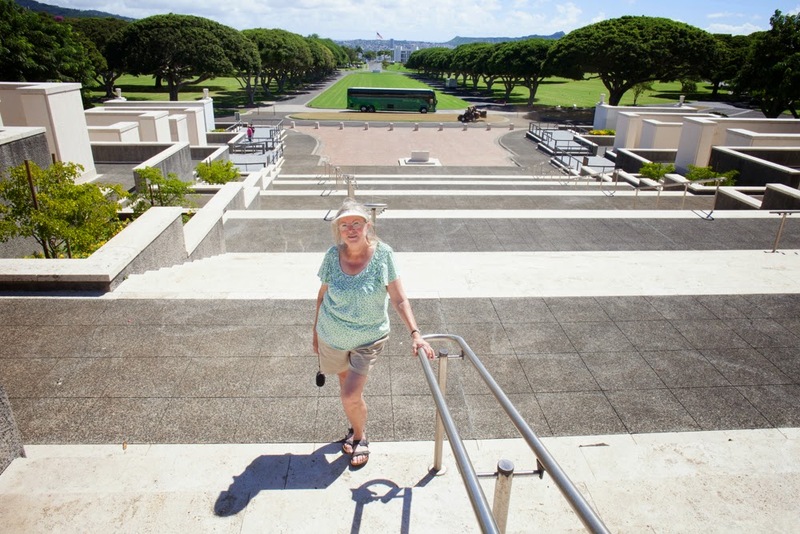 Created by a rejuvenation eruption series 100,000 years or so, Punchbowl is now a National Memorial Cemetery with the remains of over 53,000 veterans from WWI, WWII, Korea, and Vietnam. 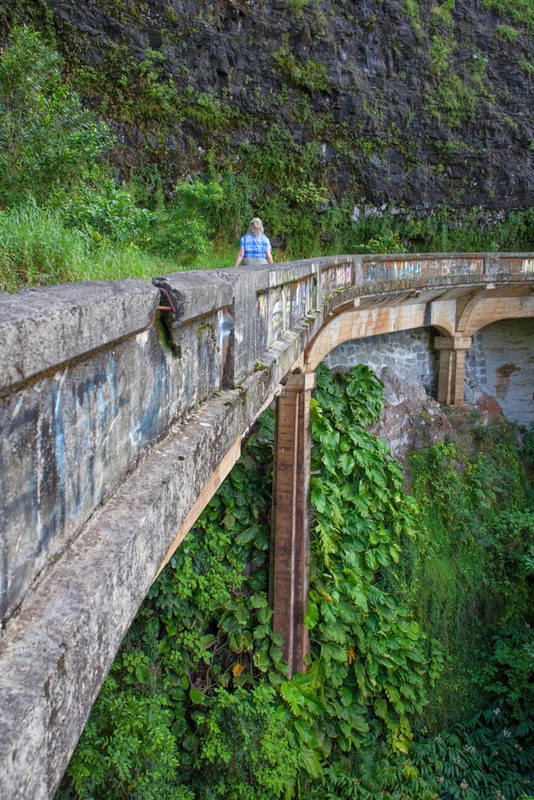 It is a surreal experience coming from the hustle and bustle of Honolulu and dropping into the serene crater of Punchbowl. The first thing you see as you enter the gates is a long drive heading way up to a huge white memorial. 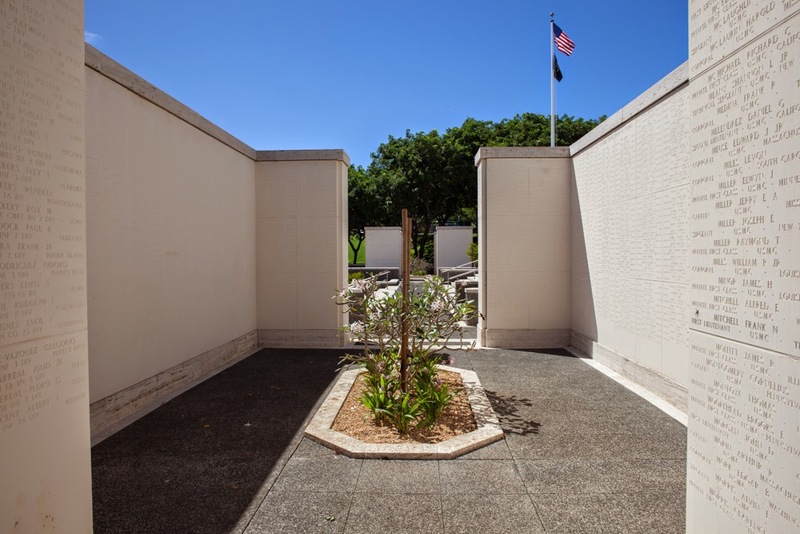 An information booth is set off just to your right as you enter in case you want to find anyone in particular who may be buried here. Then you pass rows upon rows of graves on the way to the memorial. 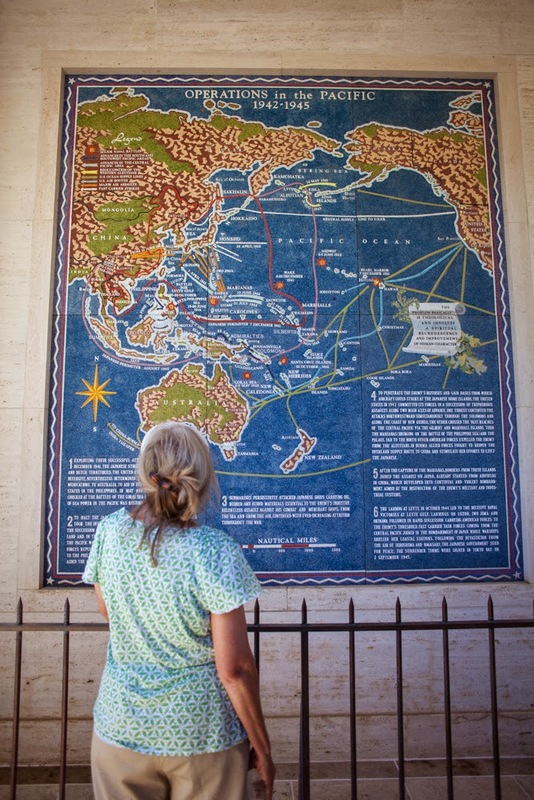 My first time here I sat in front of the tile artwork learning a ton about the different wars. Each major battle, offensive, defensive, and front lines are shown on the tile maps. I wanted to get a picture of mom in front of the Vietnam wall art but it was closed off due to the brick laying construction. 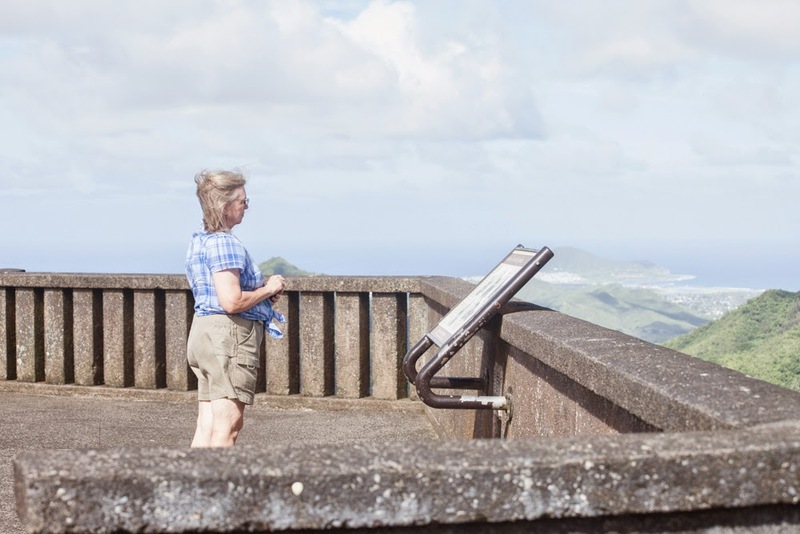 But we did walk all over, including headed up to the highest point of the crater for an overlook of Honolulu from the airport all the way to Diamond Head crater. 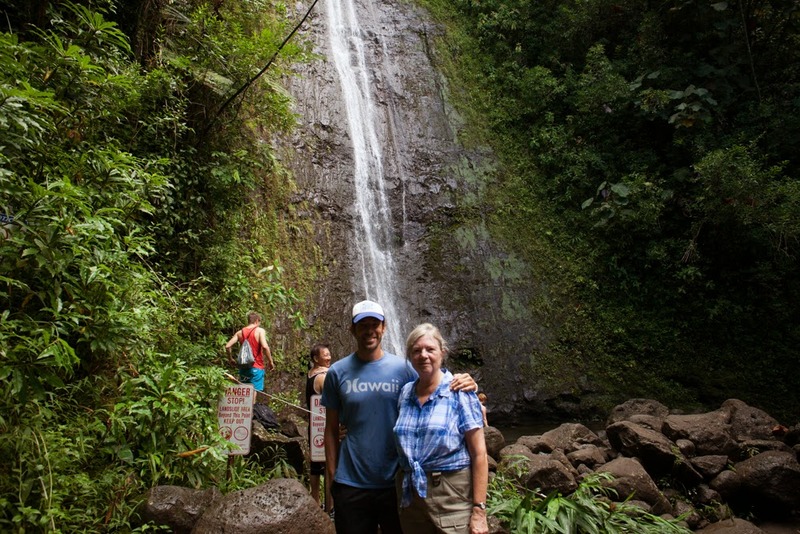 A full day of adventuring here in Oahu included waterfalls, botanical gardens, and exploring some of the back roads with my mom. 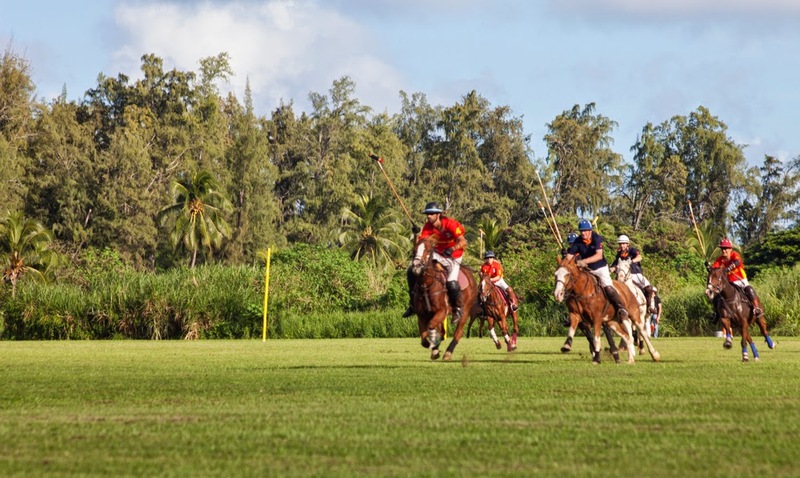 We found dramatic overlooks, old highways long since forgotten, ancient battlefields, the longest beach on Oahu, and even a chance stop at a polo match. 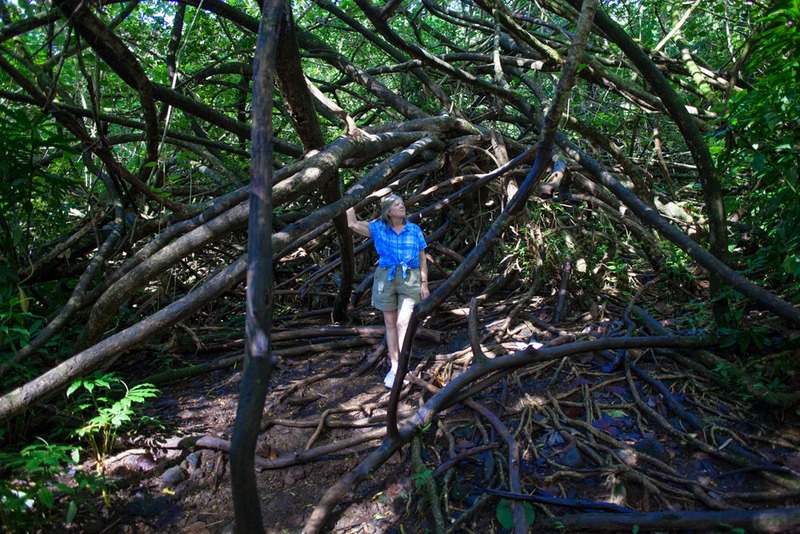 It is always good to have the flexibility and adventurous spirit while traveling, you never know what you may come across. Luckily my mom has that in droves. 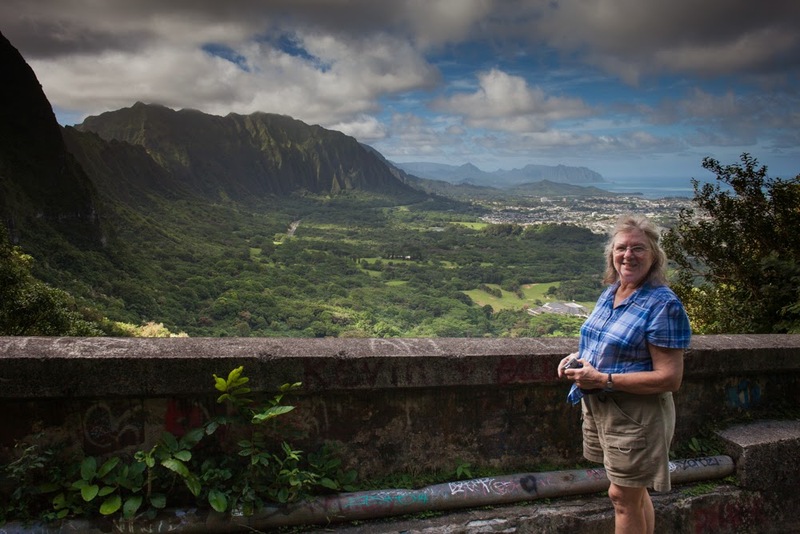 The Nuuanu-Pali overlook was a great place to start. 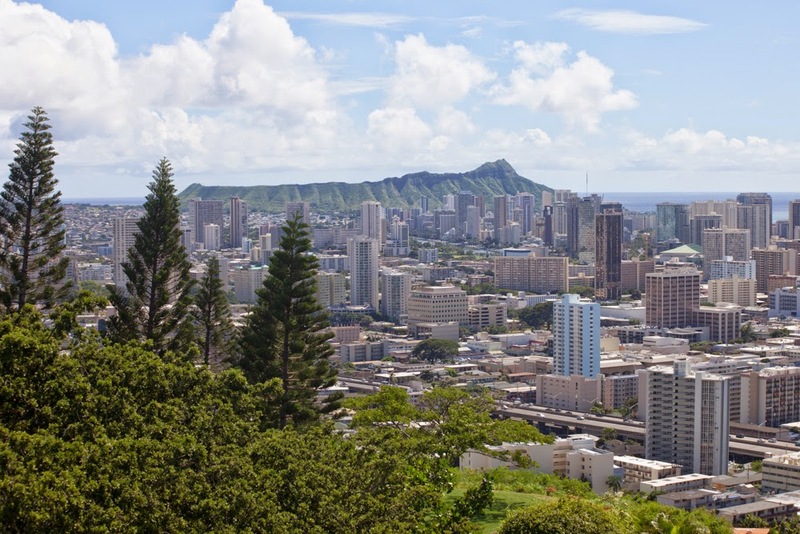 This is the ancient battle site of the final stand of Oahu warriors defending against the invading Kamehameha. Many of the defenders ended up falling to their deaths off the steep cliff. Around the corner from the overlook we found the remains of the old Pali road, determined to clutch tightly against the sheer cliffs. 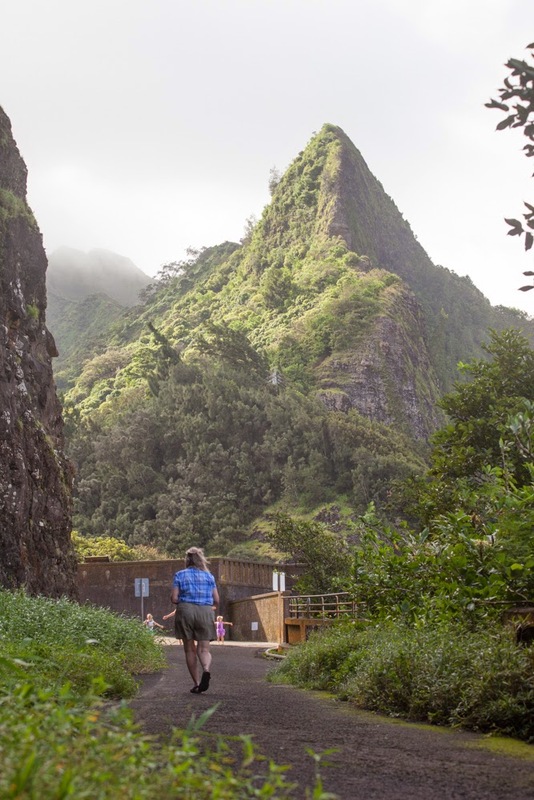 Nowadays the old Pali road is open for hikers and provides some beautiful views of the Ko'olau range and Kaneohe Bay. 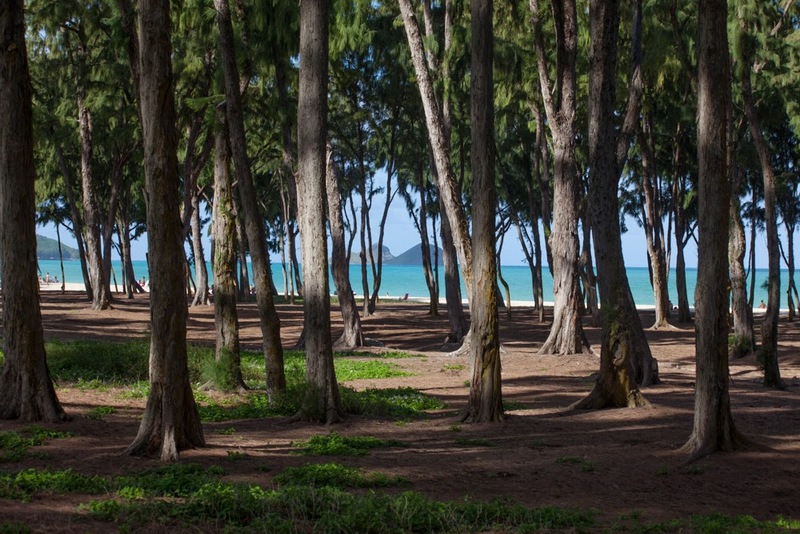 After stumbling upon some plant nurseries in Waimanalo town I took my mom to the longest sandy beach on the island. 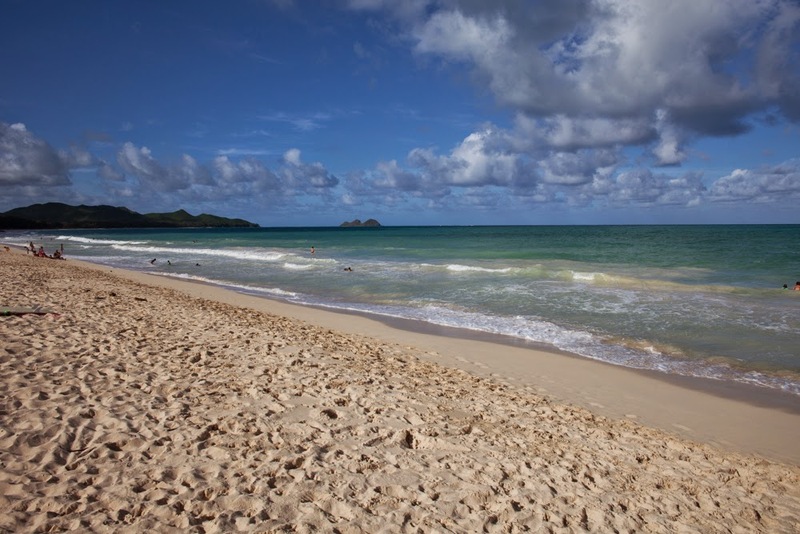 The beach stretches along the coast of Waimanalo and Bellows Airfield for five and a half miles. 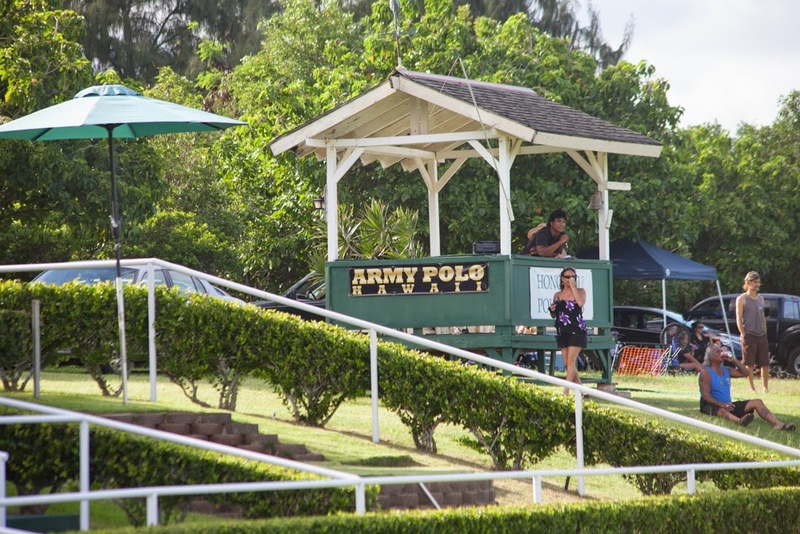 One of our last big finds of the drive was a polo match occurring at the field across from Bellows. 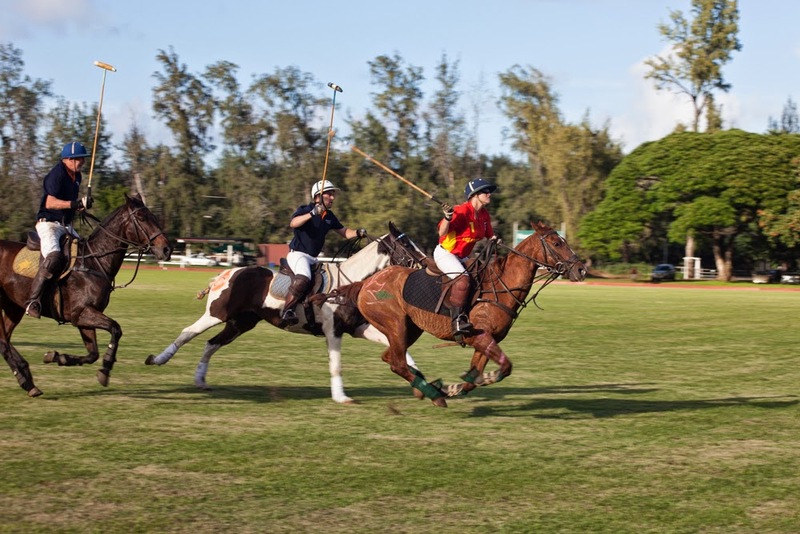 I've driven by the polo field many times but have never seen an actual match going on. My mom talked me into sneaking in for a quick view, although it was so exciting that we ended up staying for the final whistle. A few times all of the horses came racing by at top speed right in front of us. All that was missing was a mint julep and a big hat for my mom. After the match we headed down the coast. 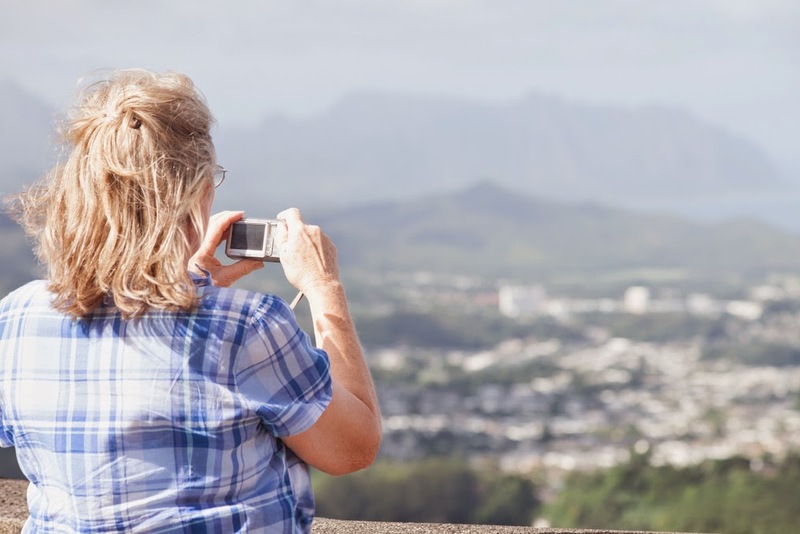 Makapu'u overlook is always a must stop scenic place. 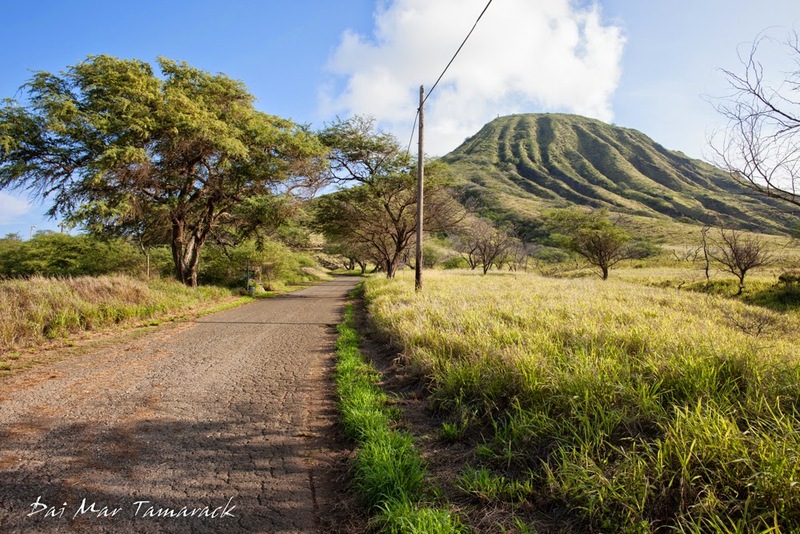 And as the sun was setting behind Koko Crater we made our final stop at Sandy Beach. 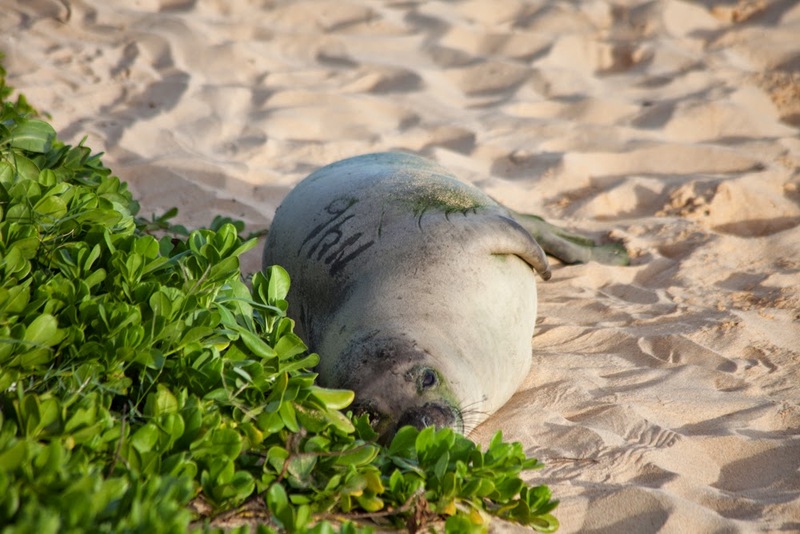 This is where we made our discovery of one of the rarest animals we will ever see in the wild, a Hawaiian Monk Seal. There are less than 2,000 of these seals left in the world so it was a special encounter indeed. I finally had a day off after working for the first three days of my mom's visit. 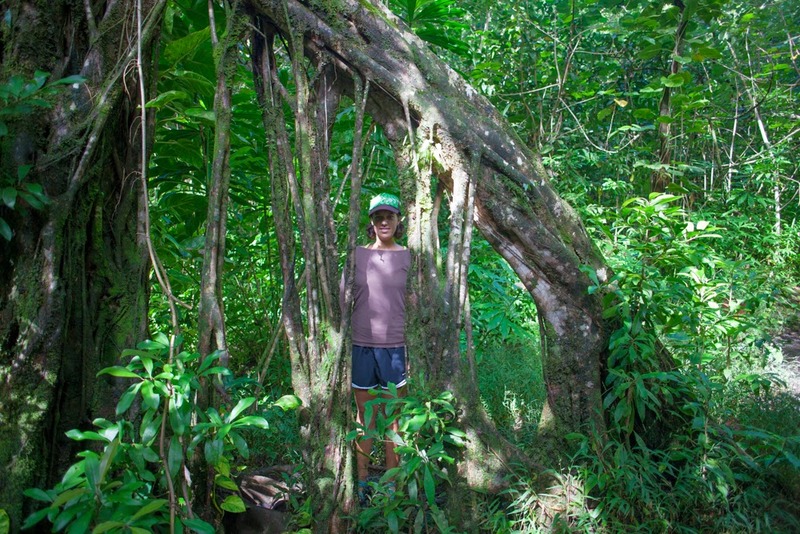 So we decided to do a bit of exploring and started off the day with a waterfall hike deep into the rainforest at the back of Manoa Valley. 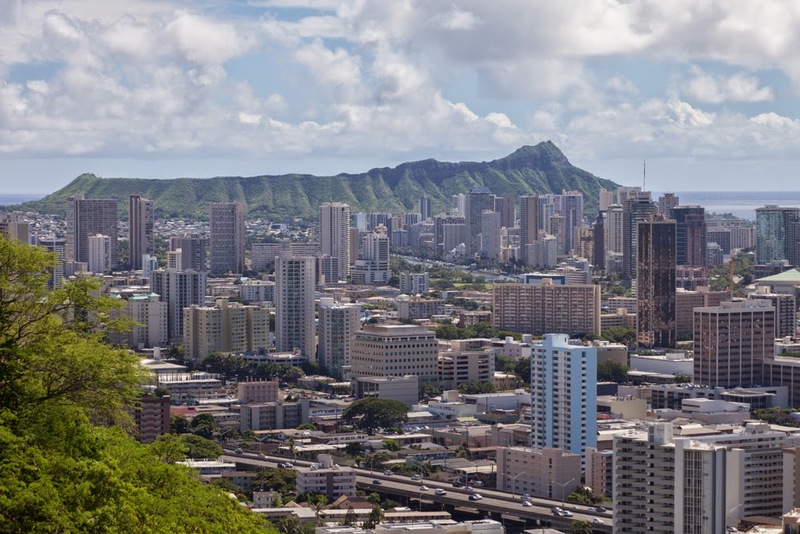 The University of Hawaii sits at the mouth of this vast valley and as you venture further into the valley the climate becomes more and more lush. 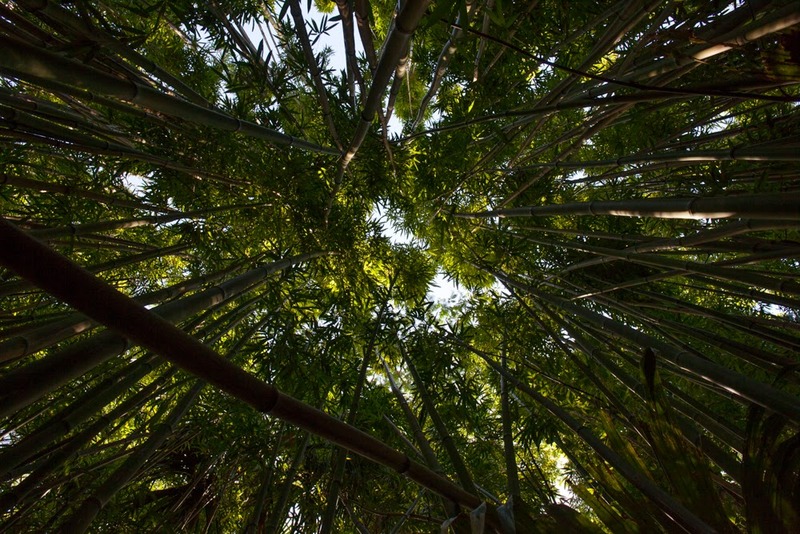 For every mile you travel towards the back of the valley you get 20 more inches of rain per year. 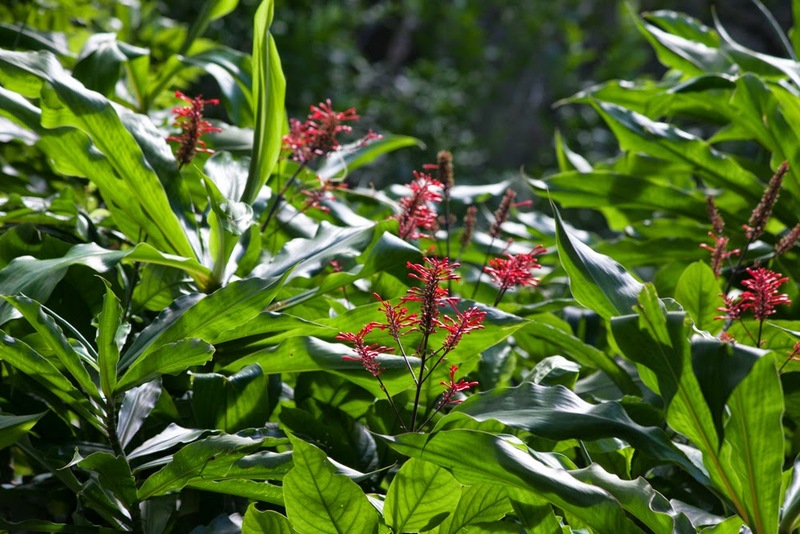 So I felt quite lucky when we arrived at our hike to find clear, blue, sunny skies. 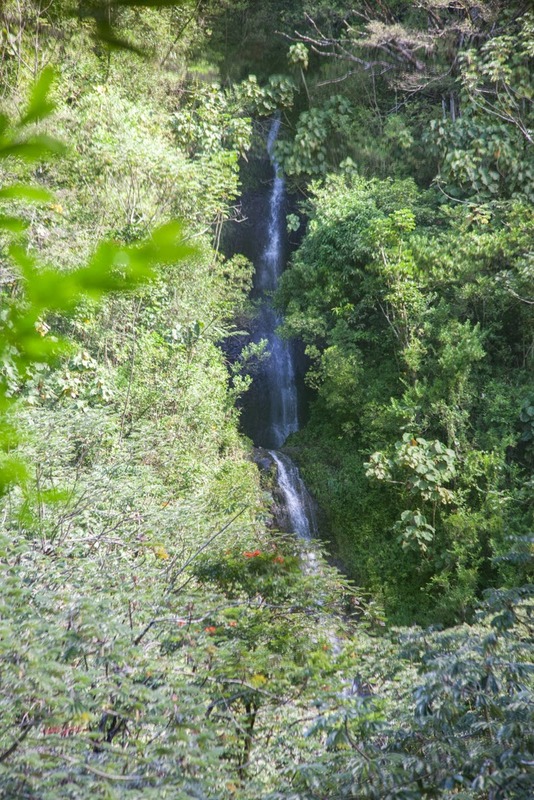 The Manoa waterfall hike is a popular one, being so close to Honolulu and Waikiki. 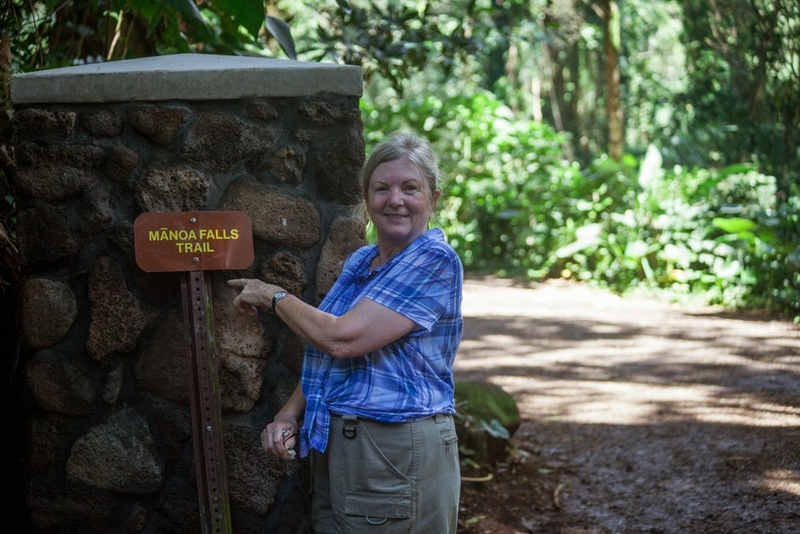 Heidi, my mom, and I set a good pace but made sure to stop for the many picture opportunities along the trail. 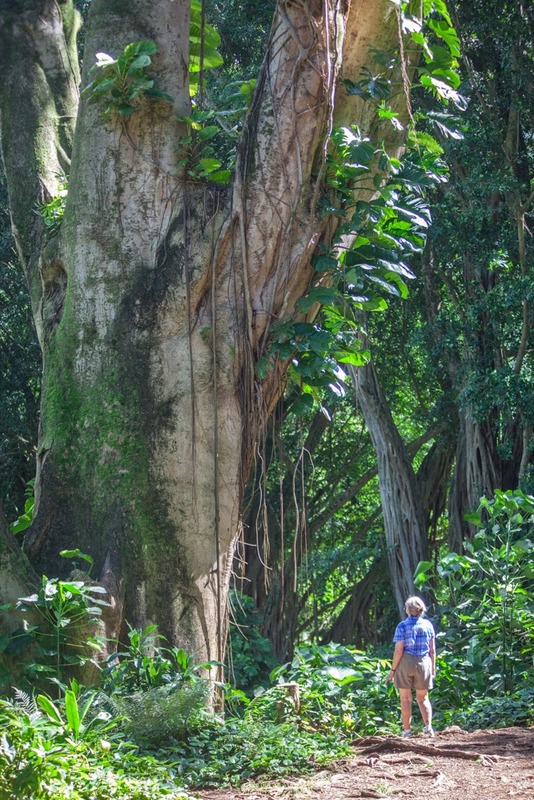 Massive albizia and banyan trees mark the beginning of the trail, while ferns, ginger, and bamboo line the dense jungle path on the way up. 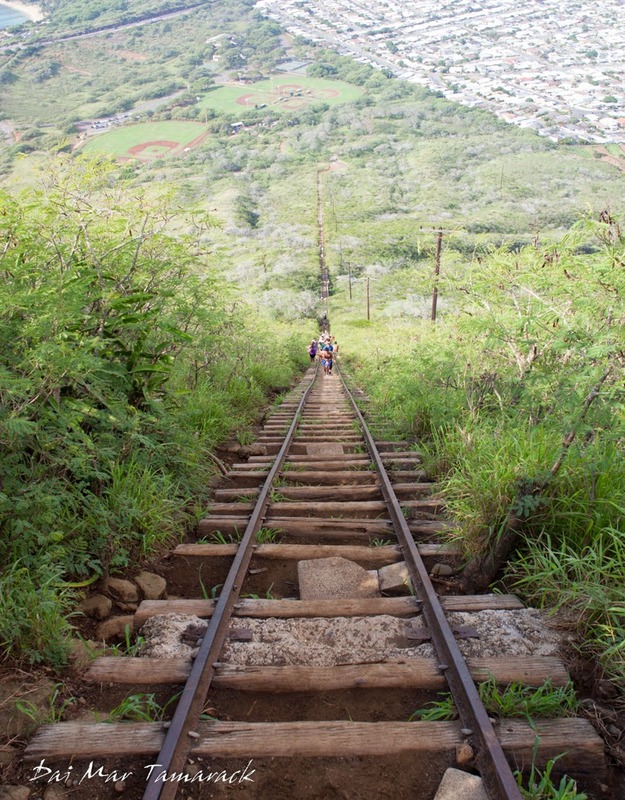 Steps made out of old rail road ties aid during the uphill sections. The valley narrows as you get closer to the waterfall. It is a little less than a mile to the end where you are greeted with a beautiful waterfall cascading down into a shallow rock pool. 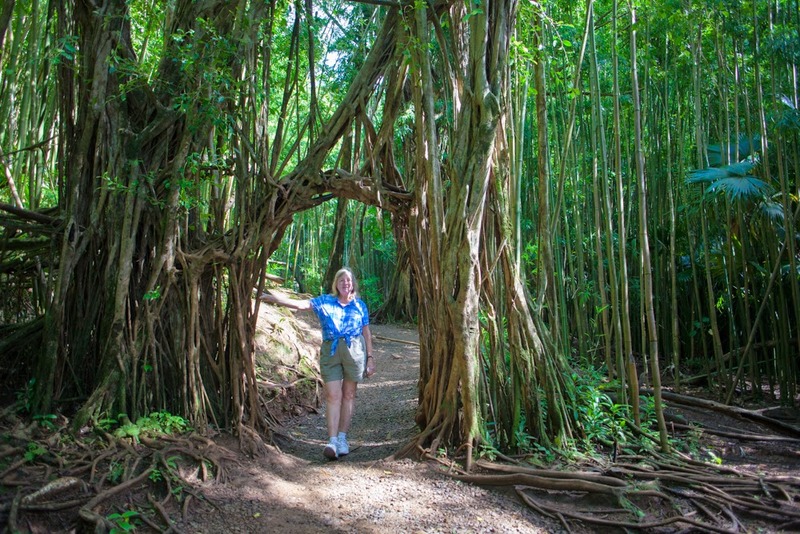 I made sure to point out where parts of the Hunger Games:Catching Fire and the new Jurassic World were filmed while taking a bunch of my own pictures. Except for a few mosquitoes along the way it couldn't have been a nicer hike. Way to persevere and make it up to the waterfall mom! Just before picking up my mom from the airport I had the entire morning off so I grabbed my short board and headed down to one of my secret south shore surf spots here in Oahu. No wind and glassy waves greeted me as well as no crowd. For a while I was the only surfer out. I ended up catching a lot of waves until I was too worn out to continue. Here a just a few of the waves caught with my GoPro. I made sure to put a good out take in at the end. Here's looking forward to more mega surf sessions in the future. We are used to big waves and swell here in Hawaii but this is a bit different. 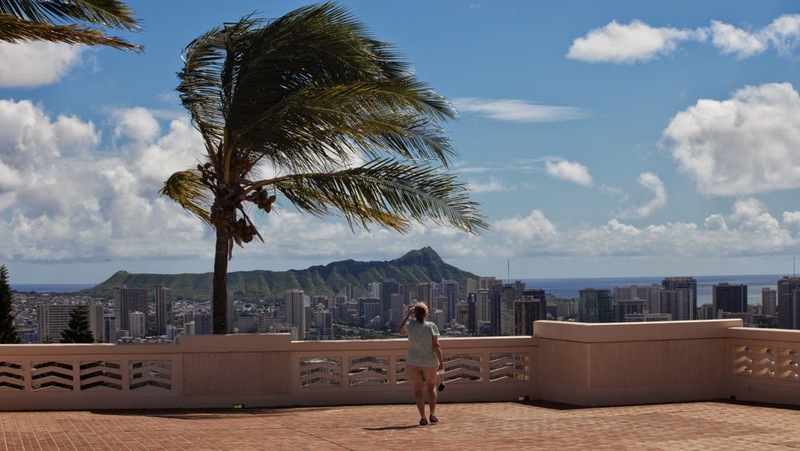 Hurricane Ana has been hanging out just over a hundred miles away from the islands over the past few days. The rain has been constant as we are seeing the effects of this massive storm. We luckily have avoided a direct hit on the islands but unruly surf started to arrive early yesterday. The coast guard has been telling people to stay out of the water but a few of us surfers were unfazed and felt comfortable enough to check it out. I went down to one of my favorite spots to check it out. The wind was pretty consistent but not overly powerful so I decided to head out. There were waves ranging from crumbly 2 footers to massive overhead bombs. It was hard to choose which waves to go for but I managed to snag a few. The real enemy during this session was the ever present current trying to drag me farther down the shoreline. I fought the current and snagged some big waves but after an hour I figured I should paddle in while I still have lots of energy. It was a good thing I did, because the channel in was like a raging river...flowing directly against me. After a long battle I made it back to the stairs and timed it just right so as not to be crashed up against the rocks. Luckily I know this spot very well. I might head back there this morning to see if conditions have gotten any better. Still, quite the adventure. 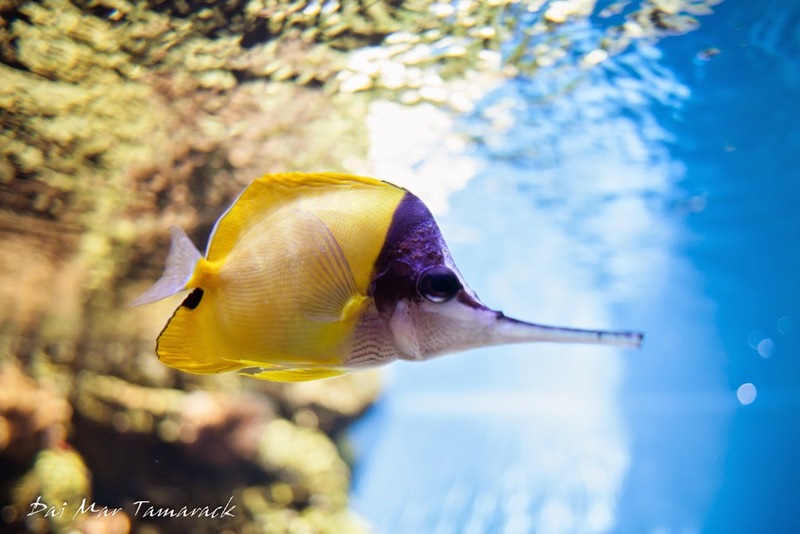 Today the winds were up and the surf was down so I decided to get some underwater shots while staying completely dry...at the Waikiki Aquarium! 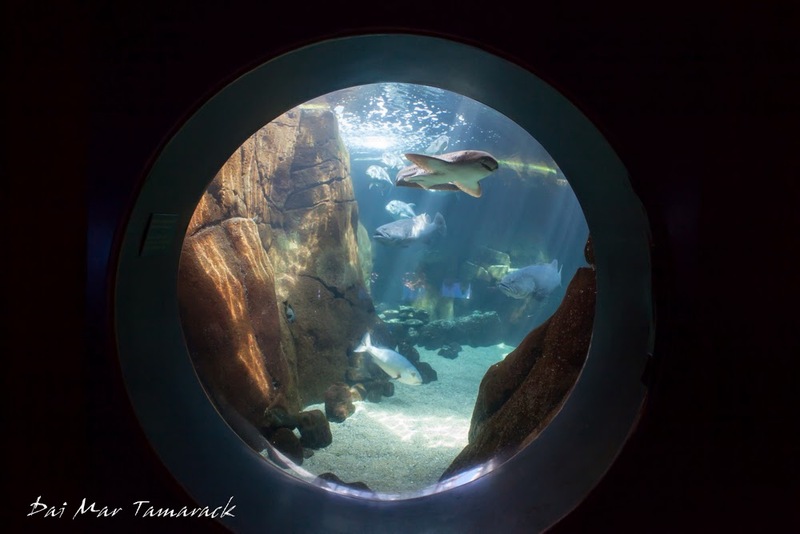 This little aquarium is one of the oldest in the United States, built in 1904. 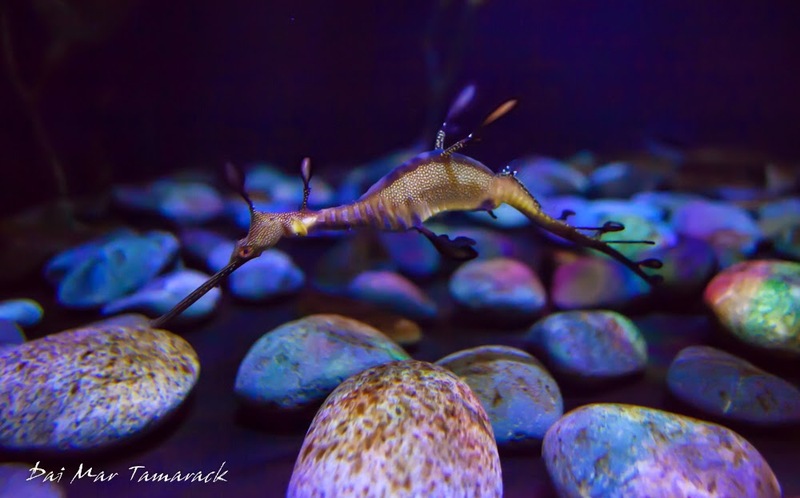 I had never really tried to take pictures in an aquarium before and it proved to be very difficult. 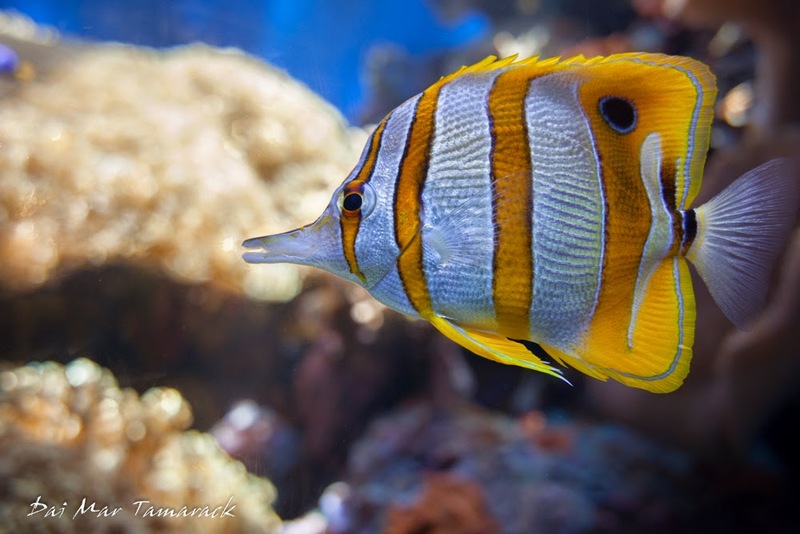 The low light and moving subjects are a photographers worst nightmare, although the fish themselves can get quite close to you. Once I strapped on the wide angle lens I was able to snap a few low light shots. 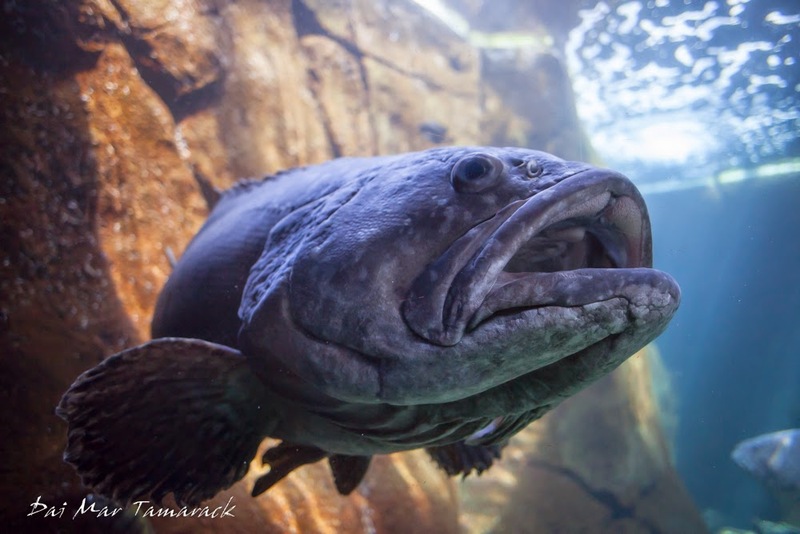 My favorite tank to photograph turned out to be the shark tank which also housed some truly gigantic groupers. Outside the main hall the Hawaiian monk seals steal the show. 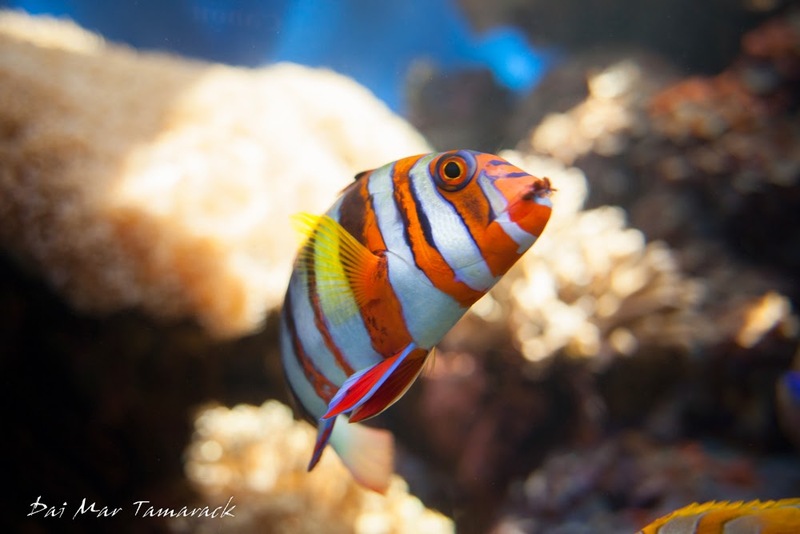 One has very bad cataracts so it has been here in captivity for nearly all of its life. 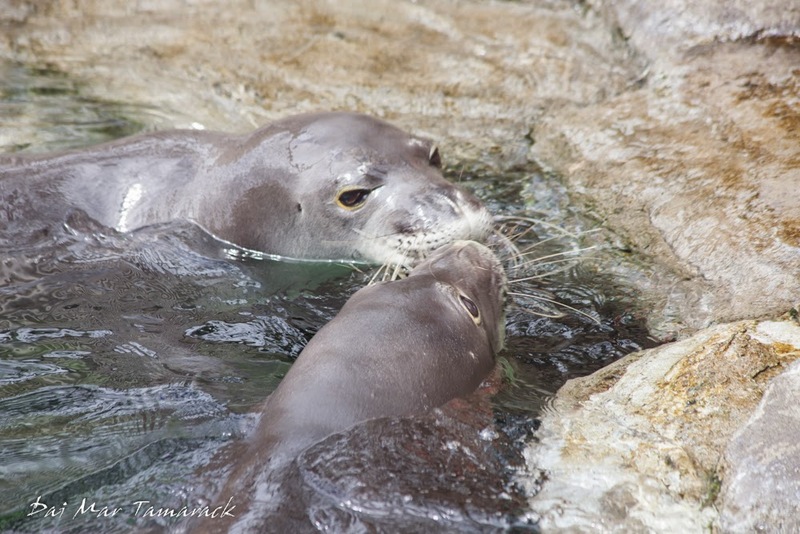 The two monk seals are usually in separate pools but were brought together to see if they can coexist peacefully. They were trained to kiss every time they first see each other. 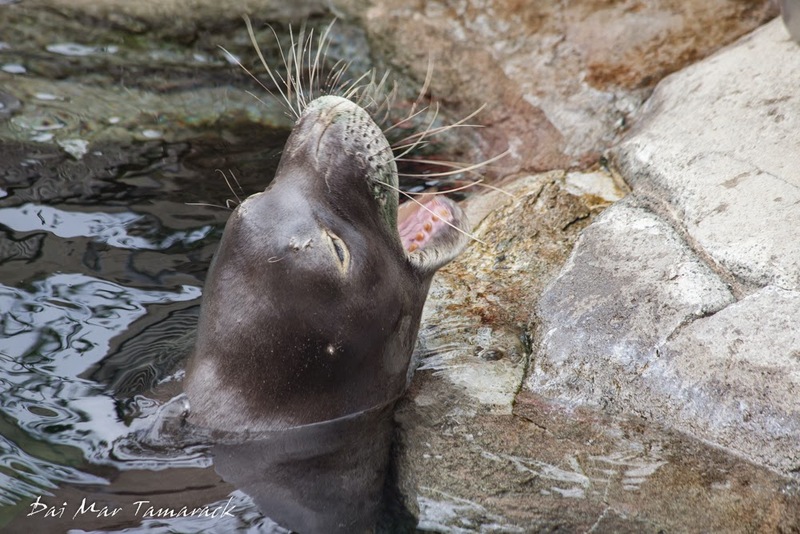 I managed to catch that photograph as well as one of the seals opening wide to catch some hand tossed fish. 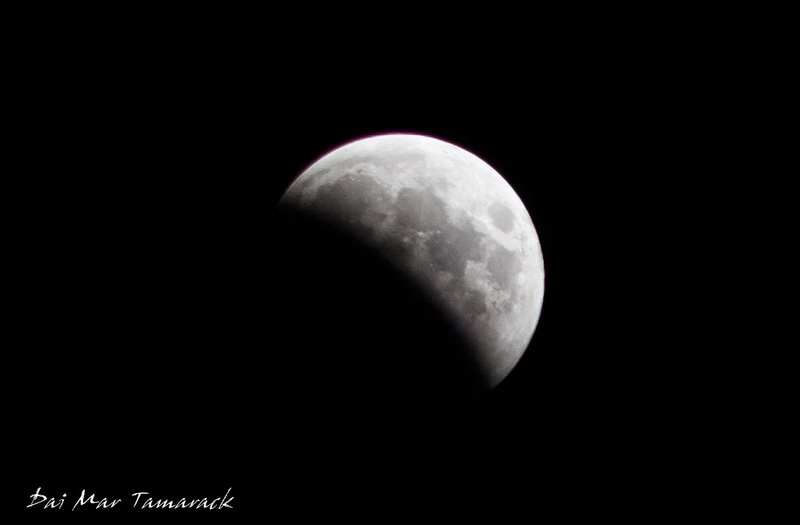 The other night we experienced the 2nd, out of 4 lunar eclipses during a two year span. Due to the refraction of light through the earth's atmosphere a sunset effect give the darkened moon a red color creating the 'blood moon.' The last time this happened it was a bit cloudy out here in Hawaii, but this time the sky was completely clear. I actually took these photos from my drive way in front of the house. It was a pretty amazing event to witness. It started happening shortly after 11pm here in Hawaii and went until around 2am. The moon was stark white all during the eclipsing until just after the total eclipse when it took on this beautiful red hue. At this stage there was a lot less light reflecting off the moon so it was harder to get a good picture. It would have been nice to have had a telescope for the viewing but a 300mm camera lens had to do. 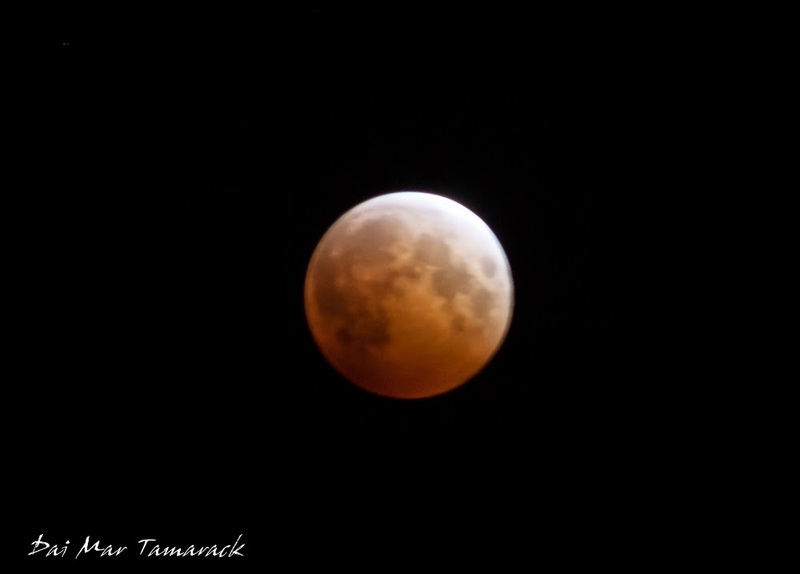 If you missed it don't worry, we still have two more 'blood moons' coming up during the next year. 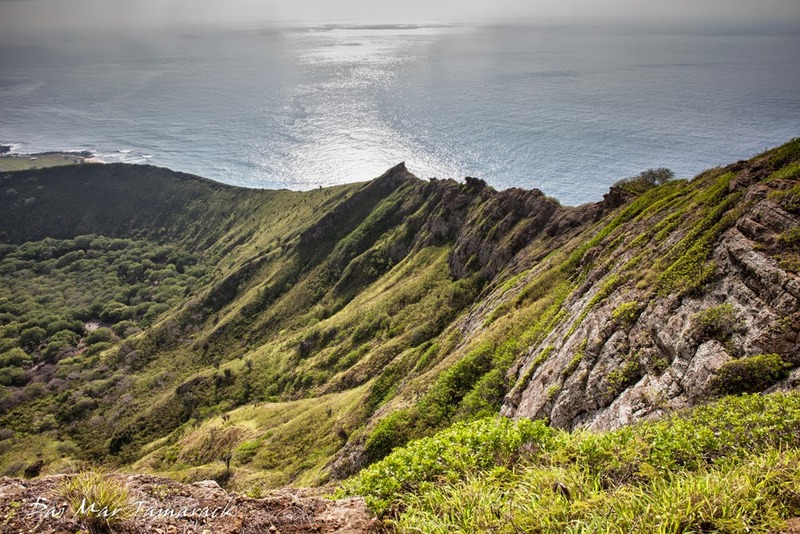 Want a serious, thigh burning, leg shaking hike here on Oahu, then look no further than the infamous climb to the summit of Koko Crater. 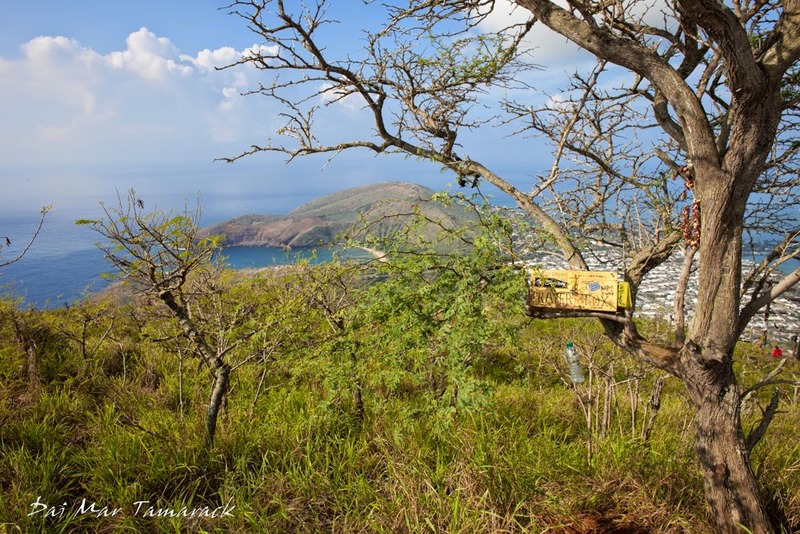 The summit is just over 1200ft, and the climb follows an old tramway straight up the southern slope. 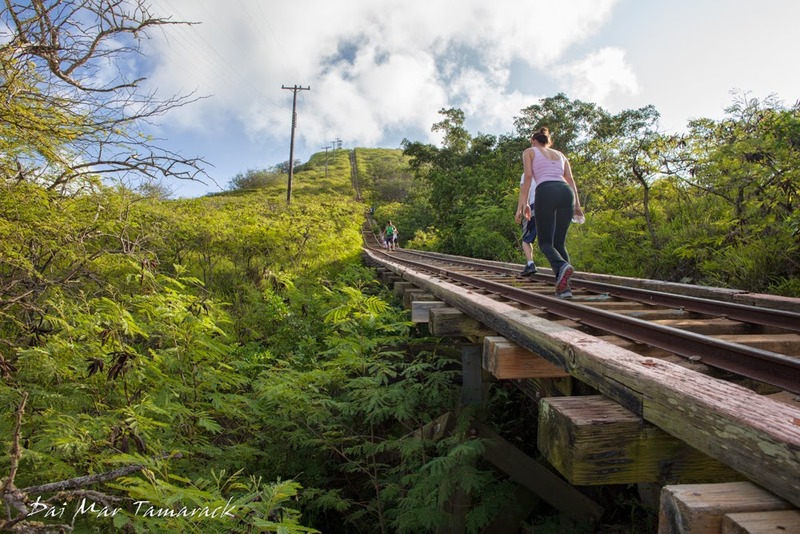 The beginning of the hike is located behind the baseball field at Koko Crater Park. 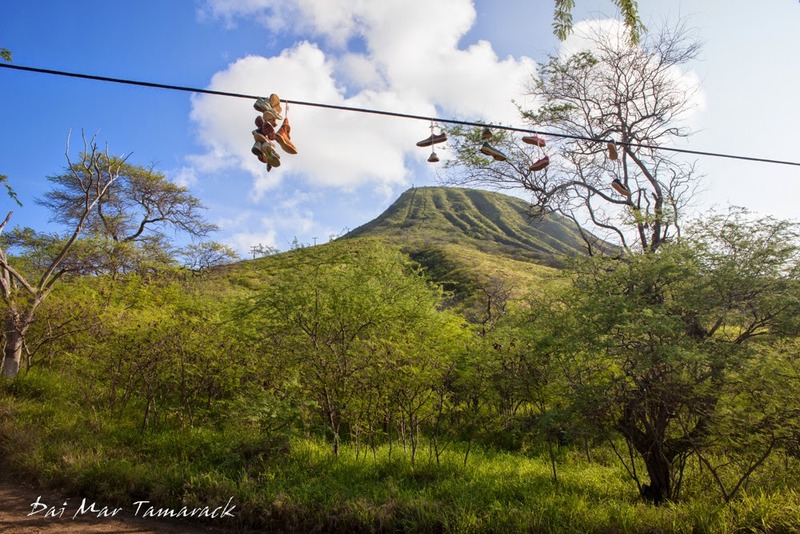 Shoes dangling from the power lines tell tales of previous hikers' stories of success lending inspiration to those who follow. 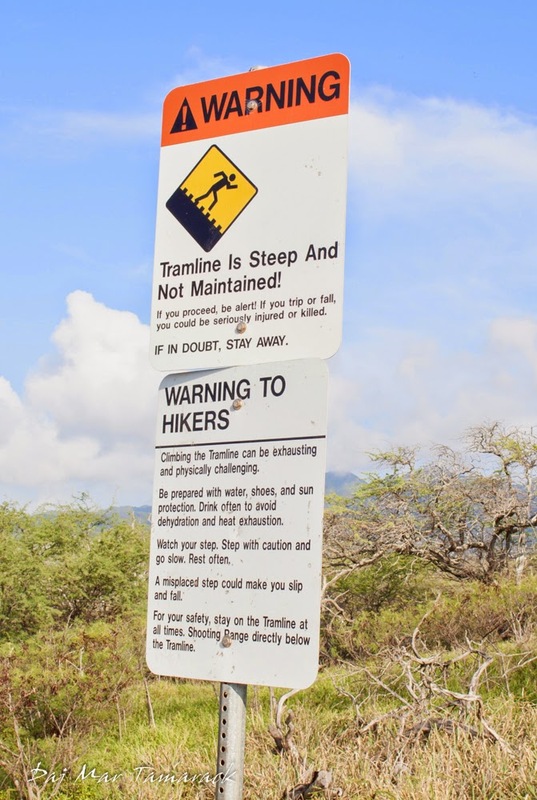 A warning sign of steep trail ahead and dangerous conditions rattles your nerves as you take your first step...with the knowledge of over 1000 more to come! 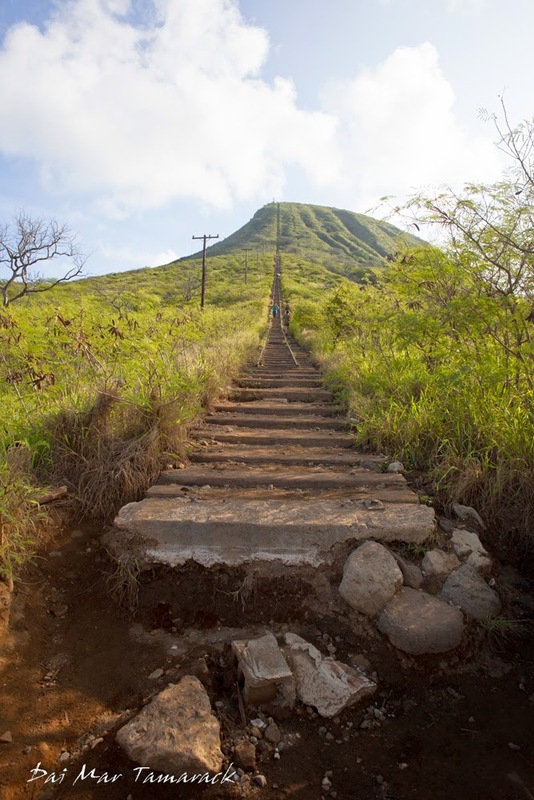 The steps themselves were spaced for the old tramway the powered lookouts to the top of the crater in the old days. So not only are there a lot of stairs, but they are steep and far apart. About halfway up the stairs become airborn over a ravine. It's pretty safe...as long as you don't fall through. Going up is pretty tough here, but coming down over the ravine while your legs are shaking is when you really have to watch it. I've seen someone slip through the cracks here once, as well as rescue helicopters flying up to the summit to grab people off the crater. 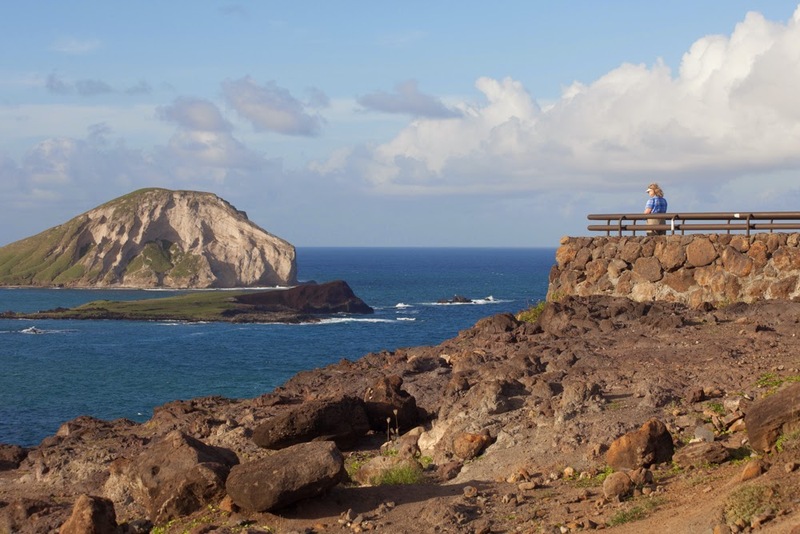 This trail does combine an incredible workout with an amazing view. 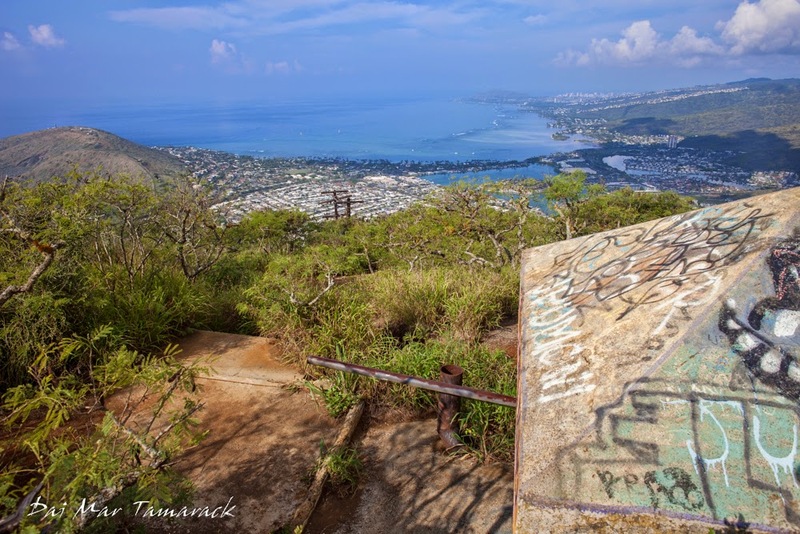 From the top you have 360° of view over the southeast corner of Oahu. 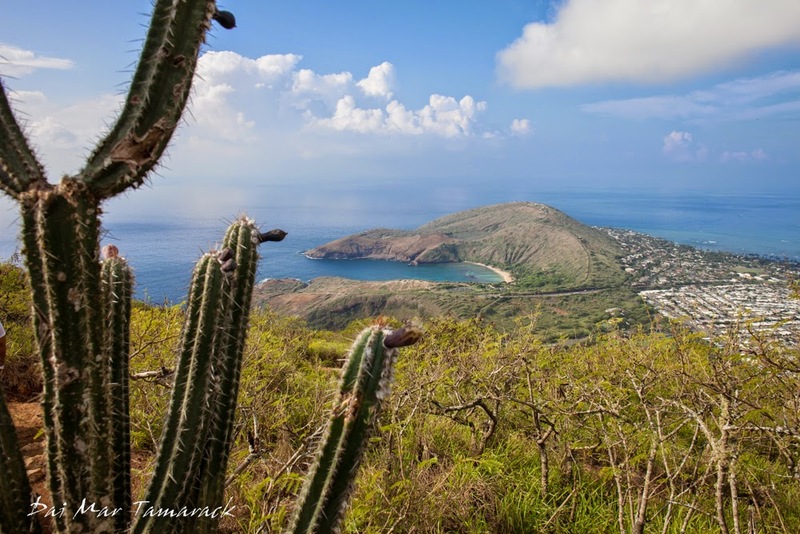 On one side you can look down into Koko Crater all the way to the Makapuu Headlands, while on the other side you have Hanauma Bay and Hawaiikai all the way to Diamond Head. 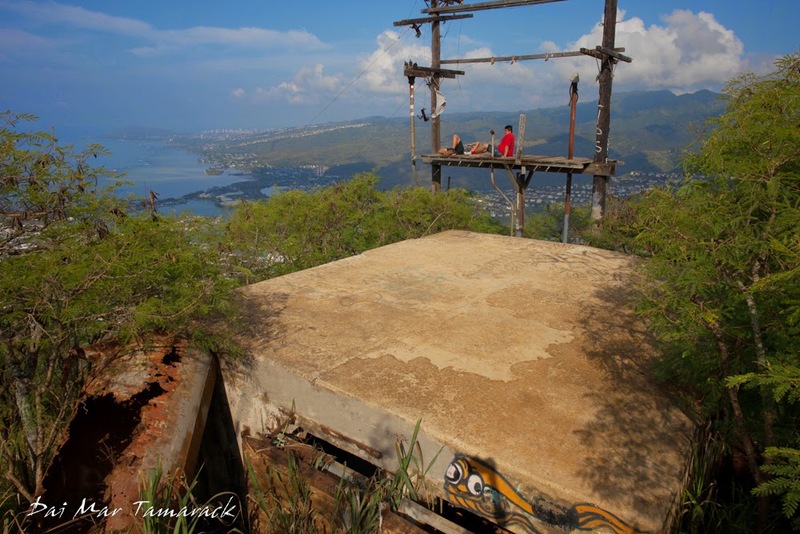 Some of the old structures are still at the top, covered in graffiti. And if you look hard enough you can find a hanging box for prayers of all the proud summiters. Before heading down I had to snap a picture of these boys resting high above the city up at the summit. Then one last picture of the daunting trip down and off I went...for a quick surf session at the Diamond Head cliffs!